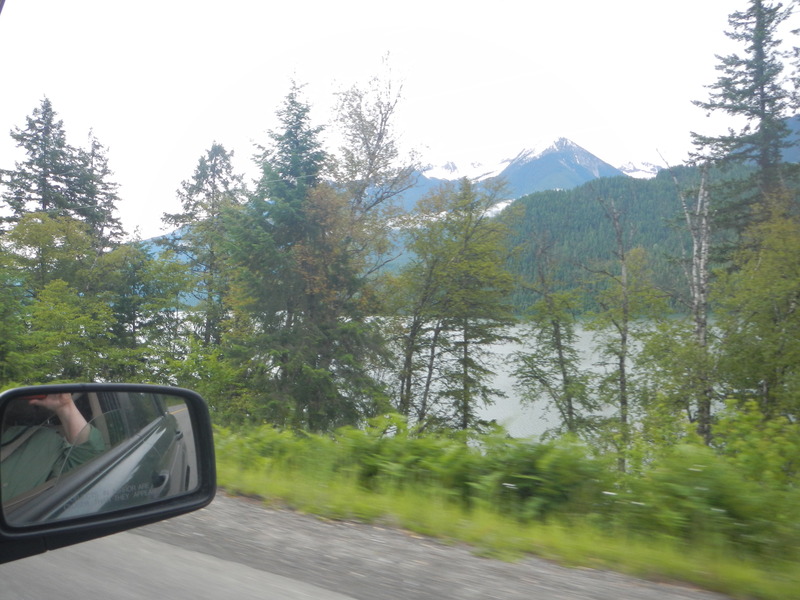 Our FIRST view of the lake as we drove south to the town of Slocan and our Outfitters: Smiling Otter. The 7 1/2 hour ferry boat wait. 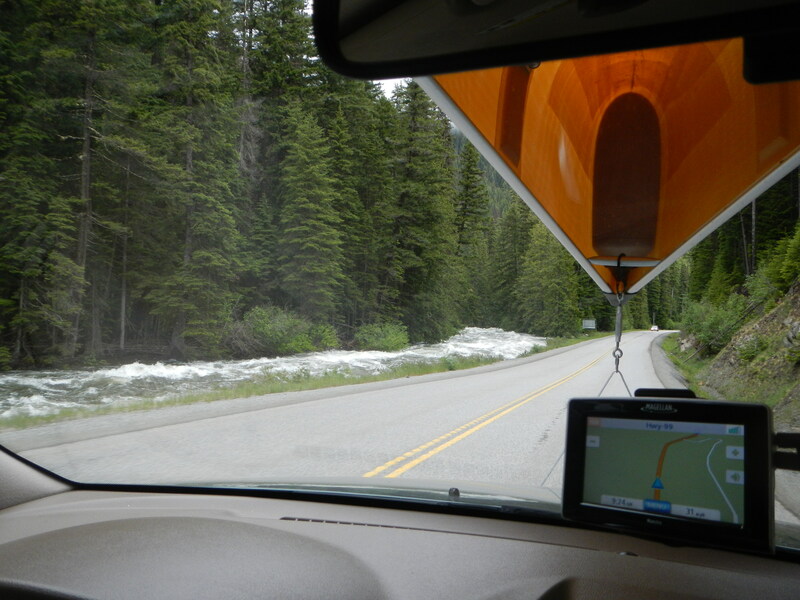 Traveling FROM Whistler to Slocan Lake…note the high water. 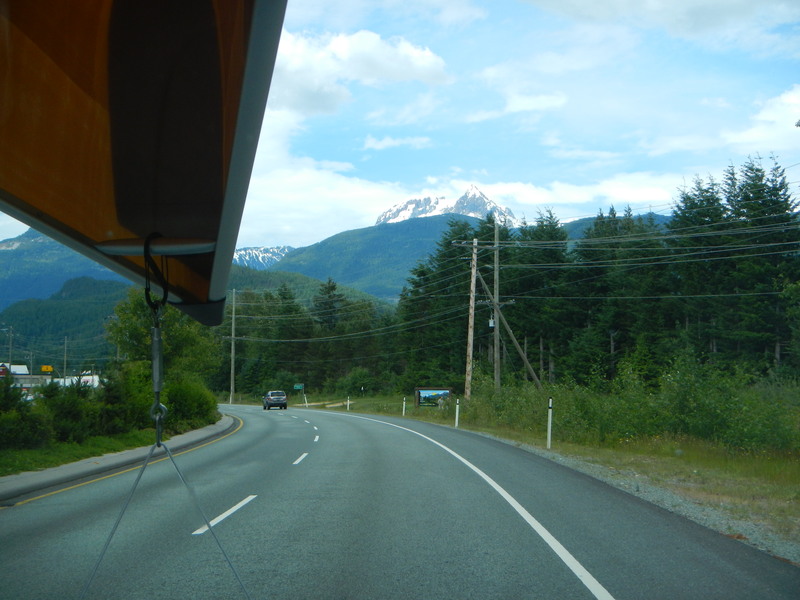 We stopped to enjoy the view along the Sea to Sky highway. 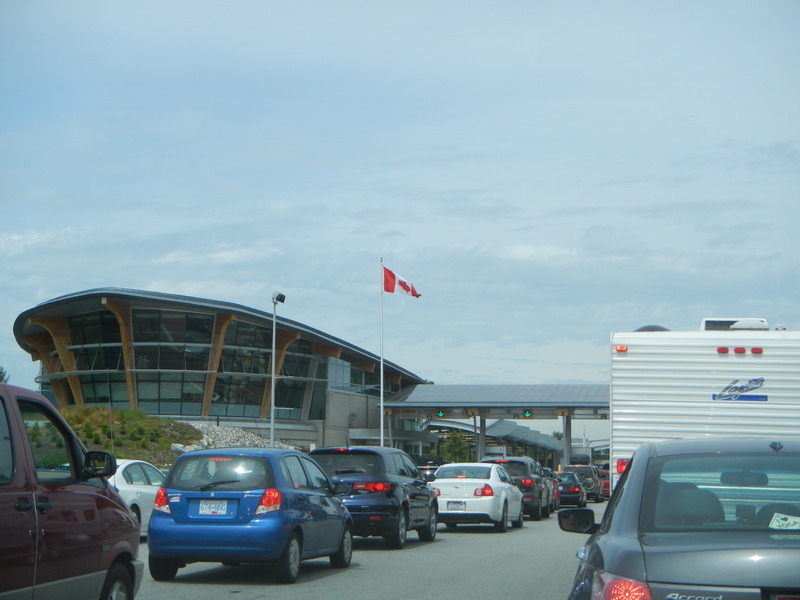 At the Canadian Border. Border crossings are very serious now. They even asked us if a firearm had ever been in our car after we said we had no guns with us. Think I recognize the mountains in the bottom few photos. 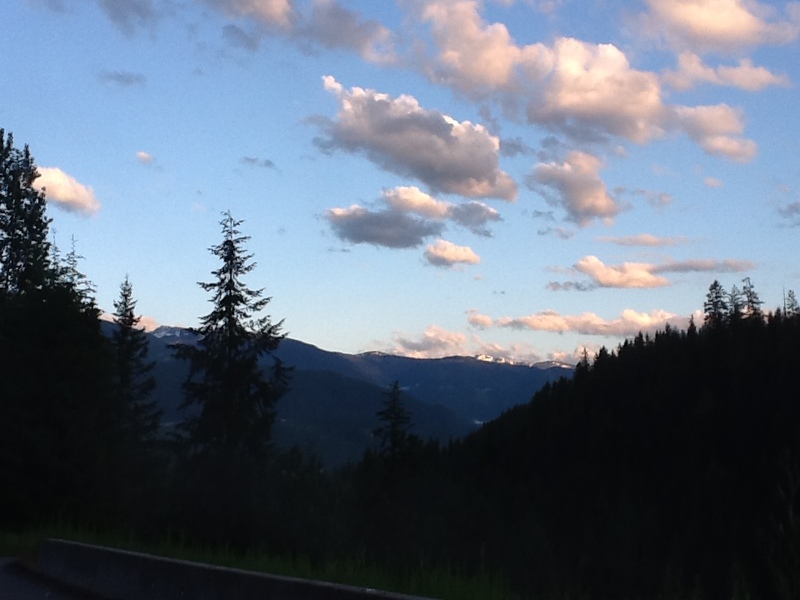 You have to be near Revelstoke, right? This isn’t *quite* as wonderful as being there, but it sure evokes great memories! Thanx for sharing! 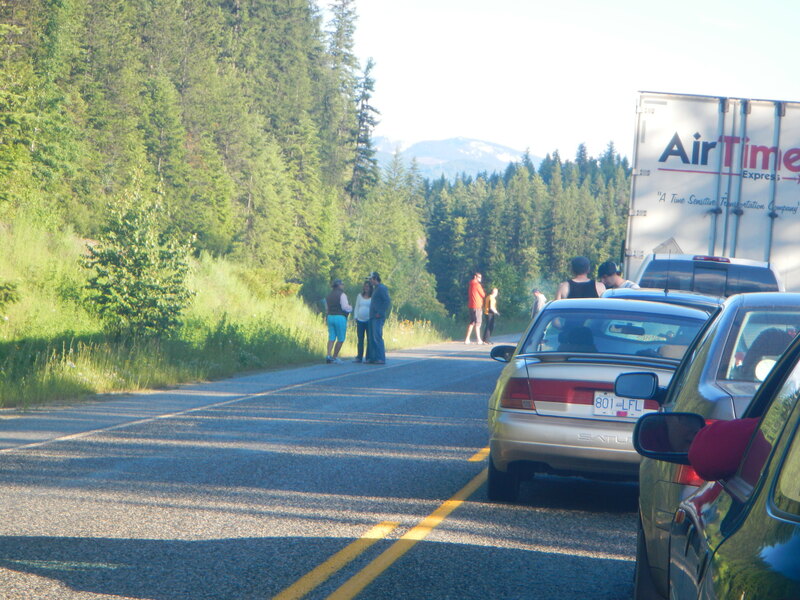 When HWY 1 flooded, we had to drive south to Vernon and then east where we crossed on the ferry at Needles. I’m glad that it evokes great memories. 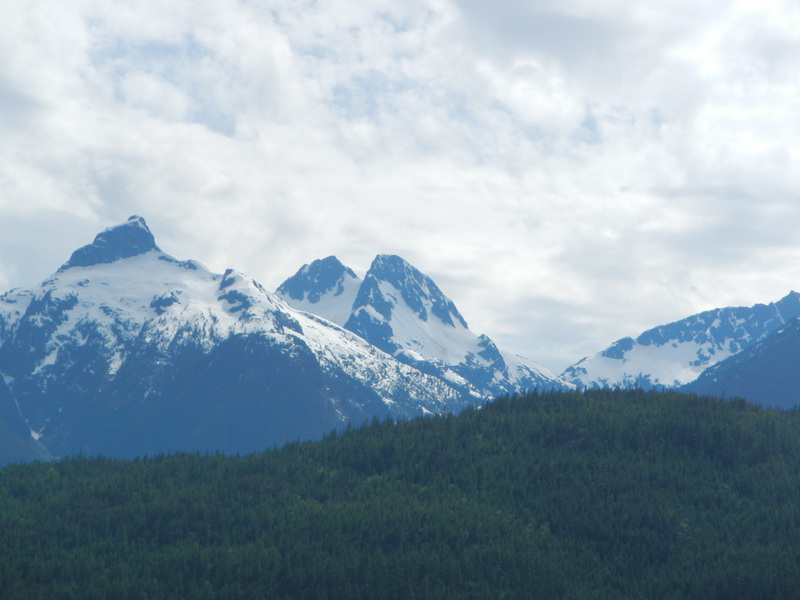 There’s something about being in the mountains, isn’t there? I’m so glad that there are thousands of accessible lakes in BC, because we’ll be back! There are also lakes in Oregon and Washington which deserve exploration. And then…there are those lovely Cruise ships! !